If you have a contemporary home and want sleek and functional replacement windows, consider sliding windows. As a leading replacement window contractor in Omaha, Quality Home Exteriors gives you an in-depth look at their features and benefits. Sliding windows glide on tracks, which means the combined weight of all the sashes rests on the frames. Little effort is required to open and close sliding windows, so they’re less likely to get stuck in the frames. This structure also lets you choose larger sliding windows, since opening or closing the windows is not hindered by gravity. We offer residential window replacement options from Mezzo®, made by leading manufacturer Alside. Among its myriad features, the bottom frame of Mezzo sliding windows is equipped with a nylon-encased dual brass roller system, which provides smooth long-term performance. Sliding windows require no swing space, which makes them the ideal window style for areas that have limited space, or where outswinging windows may become an obstruction. If your project involves taking out parts of the exterior wall to allow new windows, sliding windows let you install windows where other styles won’t fit. New sliding windows let you benefit from increased natural light. And thanks to dual-panel ClimaTech® glass packages, you can enjoy these benefits without worrying about the unwanted effects of UV and infrared rays from direct sunlight. Mezzo sliding windows are made from exceptionally strong frame materials. A slim window profile means a larger glass size, which allows maximum viewing areas. While picture windows remain the best option for capturing beautiful views, Mezzo sliding windows capture beautiful views while still allowing ample ventilation. Despite the slim build, the frames have ample insulation to improve your home’s energy efficiency. 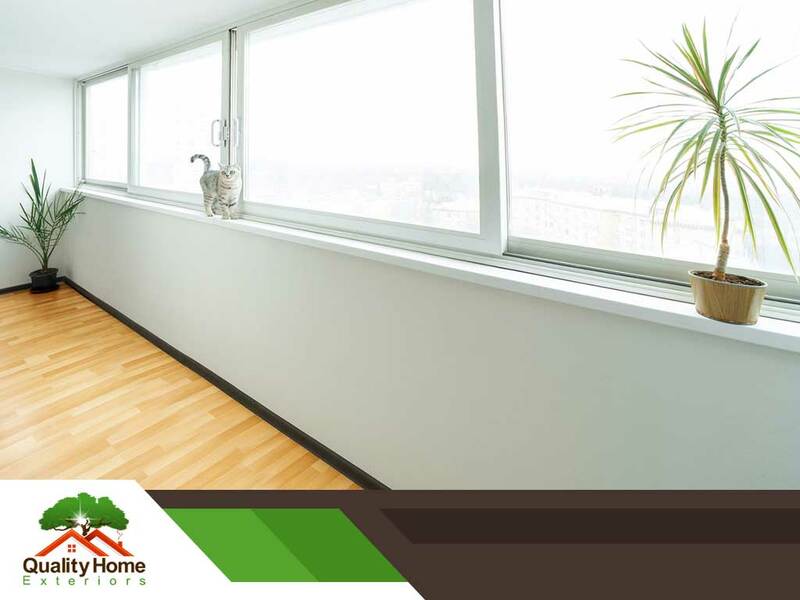 If a certain room only has enough wall space for one window, sliding windows are the perfect choice. To learn more about our home window installation options, call Quality Home Exteriors today at (402) 401-4505. You can also fill out our contact form to schedule a visit from us. We are located in Omaha, NE and serve surrounding areas.